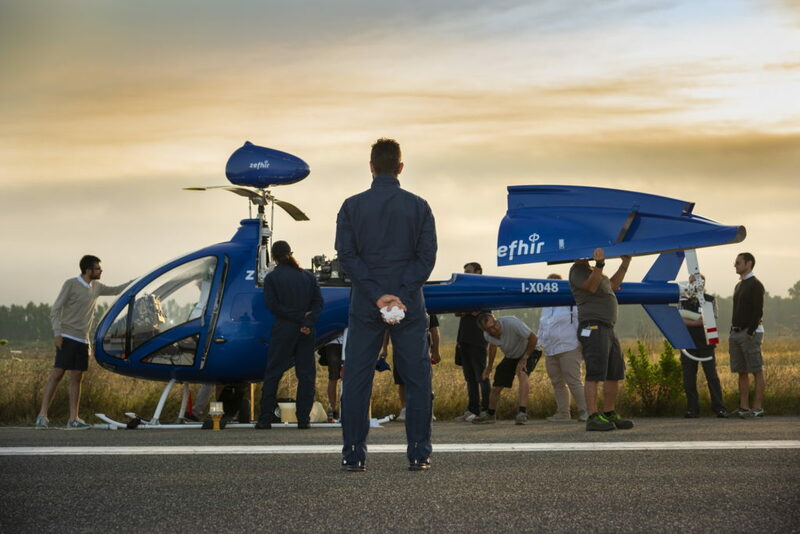 Last year at AERO Friedrichshafen in Germany, the Aerospace division of Curti Costruzioni Meccaniche unveiled the two-seat, turbine-powered helicopter it calls the Zefhir. 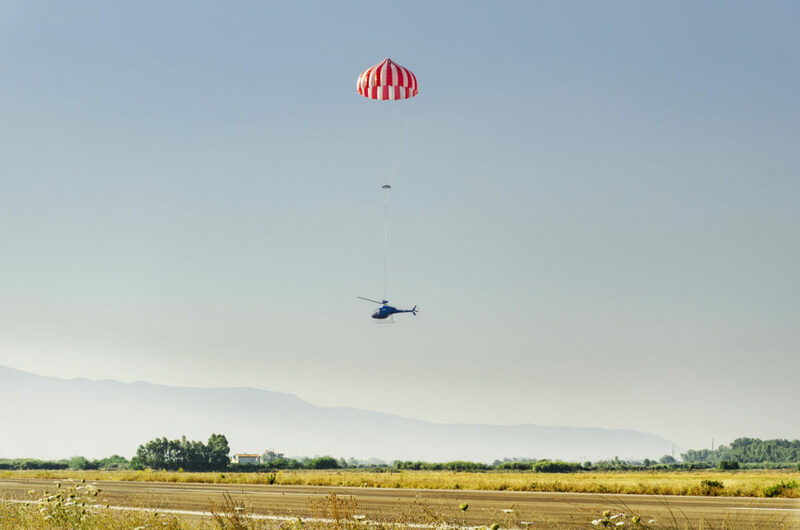 Last week, the Italian company was back at AERO 2019 with a major milestone under its belt — the successful test of a ballistic parachute designed to bring the Zefhir and its occupants safely to the ground in the event of an emergency, a world first. While ballistic parachutes have been certified on some fixed-wing aircraft, such as Cirrus light airplanes, installing them on helicopters is a trickier proposition due to the overhead presence of main rotor blades. Consequently, helicopters to date have relied exclusively on the ability to autorotate in the event of a power failure, using the upward flow of air through the rotor blades to maintain controllability as the aircraft “glides” to the ground. According to Curti head of strategy Mirco Cantelli, the Zefhir’s parachute system is not intended to replace this autorotative capability, but instead provide pilots with a second option if they are unable to successfully enter or maintain autorotation. 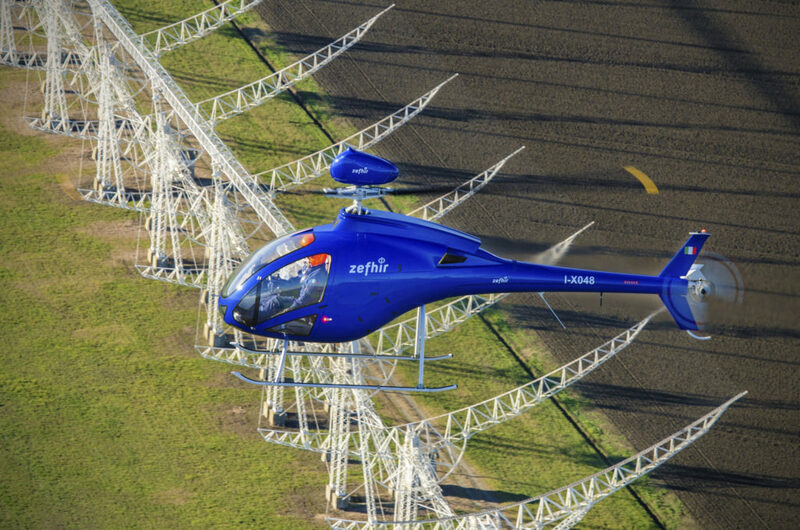 “We know of course the primary emergency maneuver for helicopters is, and still remains, autorotation,” said Cantelli, speaking with Vertical in advance of AERO 2019. “If all of the conditions are OK and you can perform it, it is for sure the best option you have to save your life and probably save the helicopter, too. Curti demonstrated the Zefhir’s ballistic parachute system in a remotely piloted test on June 22 last year, deploying the parachute from an altitude of 300 meters (985 feet) and a forward airspeed of 30 knots. According to Chiara Albertazzi, Zefhir project manager, the parachute was completely open after six seconds and succeeded in reducing the descent rate of the aircraft from 23 meters per second (75 feet per second) to just 7.5 m/s (25 f/s). While the parachute deployment test went mostly as expected, it was more than a year in the making. The first challenge was coming up with a feasible design for the system, which Curti developed in cooperation with engine manufacturer PBS Velká Bíteš and Junkers Profly, a European market leader in the construction of rescue systems with ballistic parachutes. According to Albertazzi, the design team first established the size of the parachute and ballistic rocket required for the for the 700-kilogram (1,540-pound) helicopter. Then came the problem of where to position it. The team considered the possibility of ejecting the parachute laterally and using a sliding ring for final positioning. However, because such a ring would be exposed to the elements, the team worried that it could fail when the time came to use it, “so we decided to avoid this and position the parachute on top of the main rotor,” she said. With the positioning determined, the team designed a non-rotating containment box that attaches to the airframe through a fixed shaft inside the rotor mast. To validate the stability of the design, the box was mounted to a vehicle and driven at high speeds, with no undesirable aerodynamic effects. “After that we performed several tests for the check of the correct opening of the box with the rocket, and the correct extraction of the bag — both statically [and] dynamically,” Albertazzi said. She noted that it is critical for the system to eject the cover in a way that avoids sharp edges, which could potentially damage the parachute. But all of this was the easy part, she said. “A big part of the effort for the testing came from the fact that we chose not to perform it with a pilot inside, so we had to somehow create an unmanned version of our helicopter. That was quite a task!” Curti worked with the aerospace faculty at the University of Bologna to develop a remote controlled version of the Zefhir specifically for the parachute test. Although the test was performed from 300 meters, based on the results, Curti believes the parachute could be successfully deployed at any altitude over 150 meters (500 feet), or possibly even lower if the aircraft carries some forward speed. The design team made the decision to stop the rotation of the main rotor blades as part of the parachute deployment sequence. This was for two reasons: first, to avoid airflow disruptions that could slow the opening of the parachute, and also to reduce the risk of injury at touchdown. In the remotely piloted test, this stoppage was accomplished through a deliberate series of steps. The engine was cut off, the collective was raised to decrease main rotor RPM, and then the rotor brake was applied before the parachute was ejected. However, Curti plans to make this sequence automatic in the version of the system that is made available to customers. “We will have a very simple lever that will activate everything, but with no sensor activation, so it will always be at the choosing of the pilot,” Albertazzi said. With the development of the Zefhir, Curti is drawing on its long experience in aerospace manufacturing as a supplier to Leonardo, among others. Curti is designing the aircraft to the meet the European Aviation Safety Agency’s certification specifications for small rotorcraft (CS-27, comparable to the Federal Aviation Administration’s part 27 certification standards). However, the company initially plans to make the aircraft available as a kit for homebuilders. Eventually, Curti hopes to certify it as an ultralight in the new 600-kg (1,320-lb.) category. Either way, the Zefhir is likely to be flown primarily by recreational pilots — many of whom lack the comfort and proficiency with autorotations that more experienced pilots might have. For these customers, the Zefhir’s ballistic parachute system will likely be a strong selling point, along with its modern turboshaft engine, composite blades, carbon-fiber airframe, and crashworthy seats and landing gear.